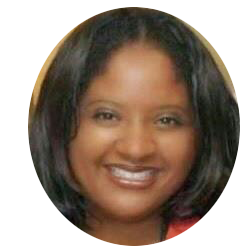 Sherri A. Smith, is a passionate entrepreneur who received her Bachelor of Arts degree from UCLA in 1993 and she is also a UCLA Riordan Fellow in affiliation with the UCLA Anderson Graduate School of Management. Currently Sherri is a graduate student completing coursework to obtain her MBA degree.Sherri is recognized for her professional management and nonprofit experience for over 22 years. As a consultant, Sherri has had the opportunity to work with Executive Directors nationally (California, Nevada, Texas, Washington, DC, Ohio, Illinois, Minnesota and Wisconsin) providing her expertise in the areas of nonprofit organization development; grant writing (federal, state and foundations); program development inclusive of budgeting; nonprofit financial management; creating evidence based programs within urban communities and nonprofit fundraising. Sherri is a professional leader, community advocate and a national trainer. Sherri conducted media education trainings in Virginia; Washington DC; Cape Cod, MA; Las Vegas, NV and Los Angeles, CA in regards to the "Women Need To Know" international media campaign. Sherri was one of the campaign producers and honored to be apart of the development team working to produce this award winning "Women Need To Know" media campaign. The core message focused on HIV/AIDS awareness and education for women in multi-languages. This campaign originated in Los Angeles in 1995, being the first county-wide, cross-cultural media campaign to promote HIV/AIDS prevention and education to women. Campaign materials reached women in English, Spanish, Chinese, Korean, Thai, Vietnamese, Taglog and Hindi. Widely seen in Los Angeles, materials produced have aired nationally & in South & Central America, Canada & the Caribbean. Other materials produced include educational videos, posters, billboards & transit advertisements. Over the course of Sherri’s professional career she has had the opportunity to travel and speak before the State of California Senate & Assembly regarding nonprofit program funding sustainability. Sherri has met with elected officials (city & state) in regards to anti-smoking policy development in Santa Monica, CA and Pomona, CA. Sherri received the California State Senate Certificate of Recognition from CA Senator Diane Watson. Sherri has fulfilled numerous public speaking requests at events, on local radio and local cable television. She is currently a member of the Black Public Relations Society of Los Angeles (BPRS-LA). Sherri has experience coordinating annual training conferences & agency training programs to over 100 faith based and community based nonprofit organizations within Los Angeles, CA. Through her own consulting firm, Sherri oversaw the scheduling of her company’s specialized trainings on a national platform and provided technical assistance to faith based leaders & community-based organizations across the United States. In addition to her nonprofit experience, Sherri is also a licensed California real estate agent having over 20 years of diverse experience in real estate sales, investing, assessing economic development opportunities and working with investors for commercial property acquisitions. Sherri has received numerous awards for her top production in sales; real estate leadership; being a master trainer and providing excellent customer service. In 2014 Sherri became a compliance consultant, receiving her Certificate of Completion from the State of CA Tax Credit Allocation Committee and in 2015 Sherri completed training to be an Auditor for low and moderate income housing developments within Los Angeles, CA. In 2017, Sherri continues her work in both areas of nonprofit organization development and real estate. She is committed to educating all her clients with accurate and current information to help make informed decision and effectively move themselves forward. Increasing her presence and using her voice to continue to make an impact and positive difference within urban communities, Sherri is producing her new online radio talk show called, “Sherri 4 Real…..Estate!” In addition to her work, Sherri is a member of Delta Sigma Theta Sorority, Inc.; UCLA Alumni Association; the Black Public Relations Society of Los Angeles (BPRS-LA); Treasurer of Girl Scouts of Greater Los Angeles – Troop #855; a member of National Association of Professional Business Women and a member of the Special Events Team at Shepherd of the Hills Church – Westside campus. Sherri counts as her greatest asset, her strong, nurturing family which include her daughter Korley and a network of supportive family members and friends.